MSUC.Chat is run by four Skype for Business enthusiasts / professionals (sometimes!) who all work in the industry working to deliver successful client projects. Ben is a Lync/SfB specialist consultant who has worked with most MS technologies through his career. He can get unusually excited when talking technology and always likes comparing notes and war-stories with other techies. He’s been involved in user groups & tech communities for the last 7 years and helps to run the MUCUGUK (www.mucuguk.org), UCDay (www.ucday.co.uk) and NEBytes (www.nebytes.net) user groups. 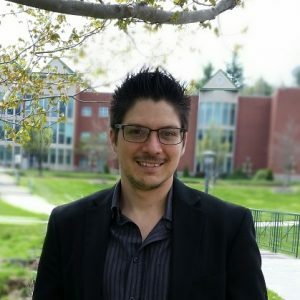 Josh is a Principal Consulting Engineer with CDW and a Microsoft MVP, specializing in Skype for Business and Microsoft Teams deployments of all types. His Microsoft-based career in IT began over 14 years ago as an Exchange Administrator in the United States Air Force, but his real sweet spot has been in the UC realm the last few years. Josh enjoys being a regular part of the Skype for Business social community as a blogger, the author of the eBook “Skype for Business Hybrid Handbook”, and the guy in the cowboy hat on the semi-weekly #TeamsRecap webcast. He can be reached in the Twitterverse as @GetCsJosh, and with the SIP address josh@get-csjosh.com.